"With Pompey just two points behind Barnsley and three behind Sunderland, their automatic charge is very much on." A win here for either side could go a long way in terms of staving off any potential threat of relegation. It's still extremely tight from mid-table downwards, and these two are right in the middle. It's a 13th v 14th clash and the market has them pretty close. I wouldn't necessarily state that the Shrews are strong in terms of form, but they are in slightly better nick than their hosts. Gillingham's for example, is the League One standard of inconsistency; recently they are WLDWL. I wouldn't want to be backing them at [2.0], but nearer [3.0] is acceptable. If you are siding with the hosts, you've got 21-goal Tom Eaves onside, although he and his fellow attacking players were kept quiet by an excellent Peterborough defence last Saturday. The Kent club just never got going as an attacking force and are better than what they showed on that occasion. Shrewsbury look as though they are at least going out to win games rather than sit back. That certainly was the case against Scunthorpe last weekend, but they were frustrated in the 1-1. The draw on that occasion leaves Sam Ricketts' side with just three away league victories all season. That's a slightly worrying stat if you are backing them as favourites. However, on the flip side, Opta state that Shrewsbury are unbeaten in their last five visits to the Priestfield. It doesn't quite persuade me to bet on the away side here, which is why I am keeping the faith with the Steve Lovell diamond. They just didn't shift the ball up to Eaves and Brandon Hanlan quick enough last weekend, and I expect a better showing. It's hardly rocket science opposing the current bottom-placed team in League One (although you never quite know in this division), but Rovers look solid [1.95] shots this Saturday against Bradford. It's not a great price, but it will do. The Bantams have lost each of their last five games and have had a disastrous season. Not even the [4.30] on them will tempt me. Bradford's new boss Gary Bowyer is saying and doing all the right things, but results under him have not changed. Since he took over, he has only won once in six matches. With just 36 points, they are not ones for any faith at all. Using the Opta stats here with the hosts, Rovers are unbeaten in their last 13 home league matches with Bradford (winning 10 of those), and they also possess a goalscoring threat with Jonson Clarke- Harris - who has scored nine of Rovers' last 11 goals. He had an excellent March, which included a hat-trick against Blackpool. Graham Coughlan's men defended very well last Sunday against a decent Coventry team. That was on a poor pitch at the Ricoh, and whilst their attacking game lacked a bit of devil, they stood firm and looked nice and organised. With five remaining fixtures, Rovers would certainly have identified this game to take maximum points, as upcoming fixtures against Wimbledon and Rochdale will be trickier. They also will play Barnsley. Once the team that conceded for fun, Rochdale are showing signs of improvement since Brian Barry-Murphy replaced Keith Hill. Dale under Hill conceded goals at an alarming rate, but the new manager has produced results quickly. His six games in charge since Hill left includes three wins and two draws. They've shipped in just five in six. Barry-Murphy has almost worked miracles. Whether they can get a result at Fratton Park is another matter. Portsmouth are the shortest price of any team in the division at the weekend and were trading at [1.60] from Wednesday into Thursday. With Pompey just two points behind Barnsley and three behind Sunderland, their automatic charge is very much on. Portsmouth are currently [1.62] in the Promotion market. February blunted Pompey's progress as they drew too many games, but they've been flying lately with five wins from their last six. The return of veteran striker Brett Pitman has been a major factor. 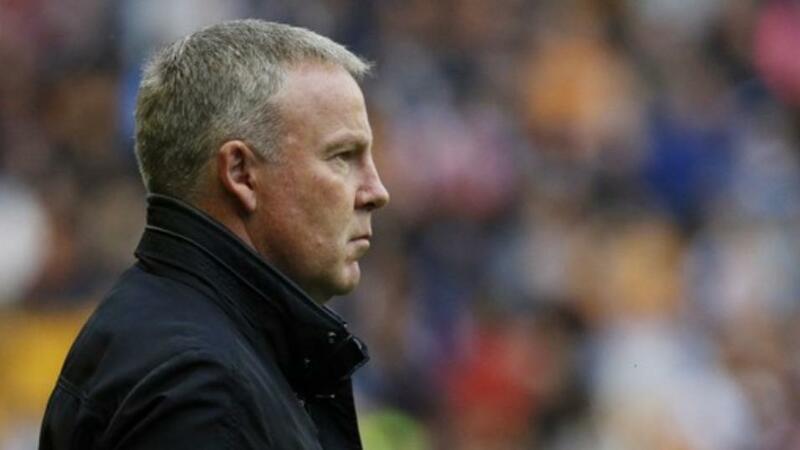 His presence, experience and not to mention cute finishing, are all key factors in a return to winning ways for Kenny Jackett's men. Whilst his partnership with Oli Hawkins will never trouble any defence for pace, the two have really clicked of late to give Jackett another option for the remaining games. Indeed, Pompey are scoring again, and they have hit 16 in their last six games. The immediate reaction is to side with the Over 2.5, but it's too short at [1.75], especially considering Rochdale's new found stability at the back. The Under 2.5 could be an interesting one as it looks overpriced to me at [2.10]. Pompey have been strong in attack, but it was interesting that Jackett made a point in the local press this week about his side's less-than-stellar defensive record. The Portsmouth -1 is an attractive [2.62], and whilst we don't get the push, the hosts and their forward players have the quality to make that the bet.